Strauss is synonymous with Waltzes and Vienna. There is music in the blood of the whole familiy. During the second half of the 19th century Johann Strauss and his brothers were as popular as movie stars today! 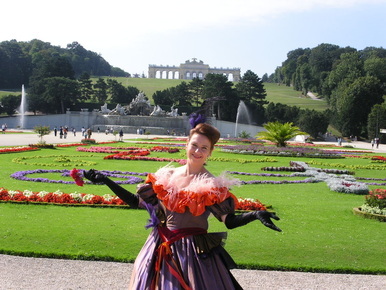 Women always played an essential part in Johann Strauss’ life. First, his strong mother and later his three wives influenced his career and music. You can meet all four ladies who give an impression of the maestro from their point of view. Four stories, one man and a lot of charming music awaits you! Best with concert, soprano or tenor (or duet), many wonderful costumes and 90 minutes of Viennese charm.